The state of Maine’s slogan is ‘The way life should be’. 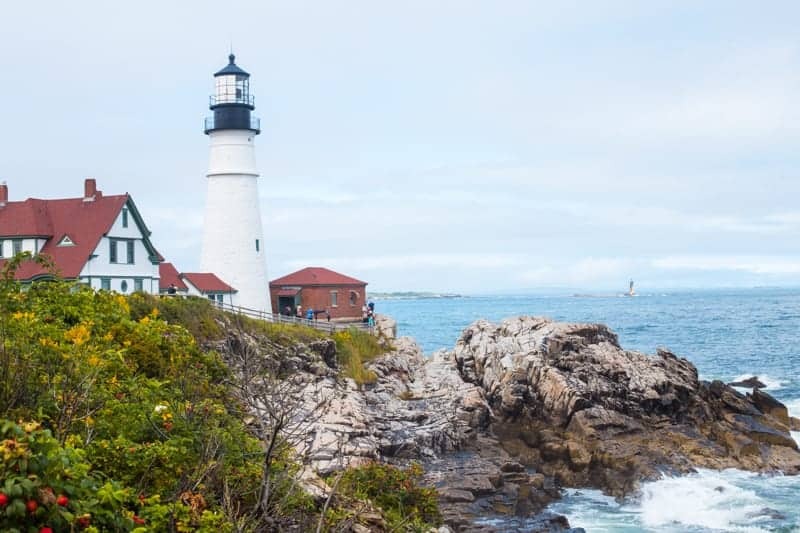 Before you visit, check out this top ten list of the best things to do in coastal Portland Maine. Things to do in Portland Maine! 1. 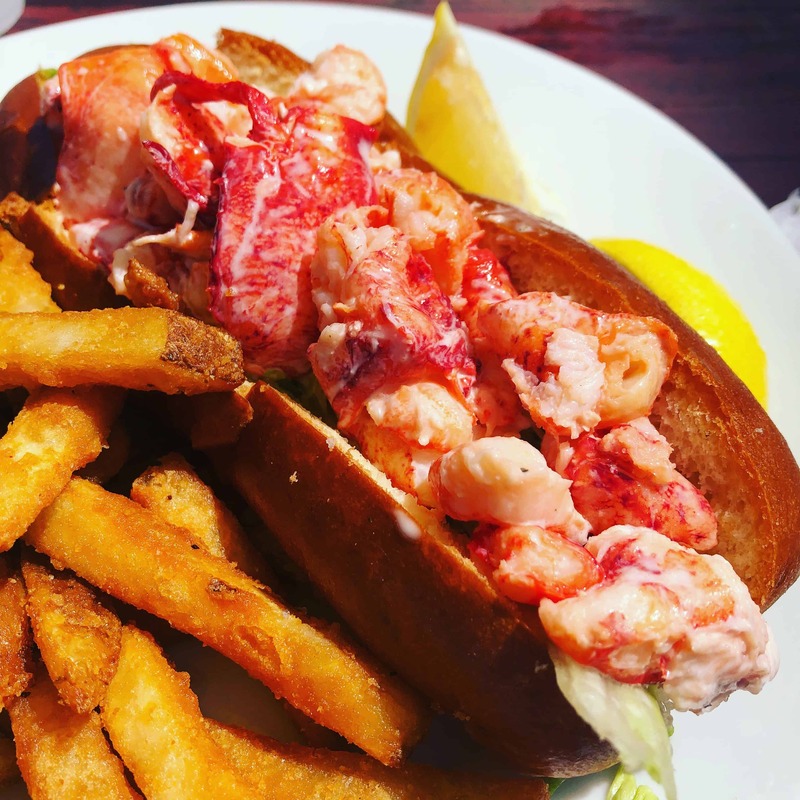 Eat a lobster roll on a pier. 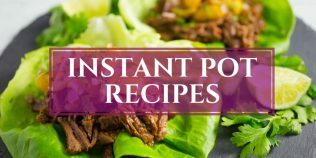 There are several places to partake in the delicacy for what Maine is highly famous for. The rolls at The Porthole restaurant are especially tasty, due to their homemade lemon aioli and the amazing waterfront views. 2. Board a Portland Schooner Windjammer Sail and cruise around Casco Bay. Spending two hours relaxing on a boat while sailing along the coastline is an excellent way to experience the Maine way of life. A bonus is spotting some playful seals in the harbor, like I did! 3. Eat a dinner of locally sourced products at any of the city’s exceptional restaurants. 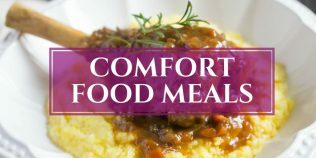 Recently named Bon Appetit’s 2018 Restaurant City of the Year, there is no shortage of good eats in this town. 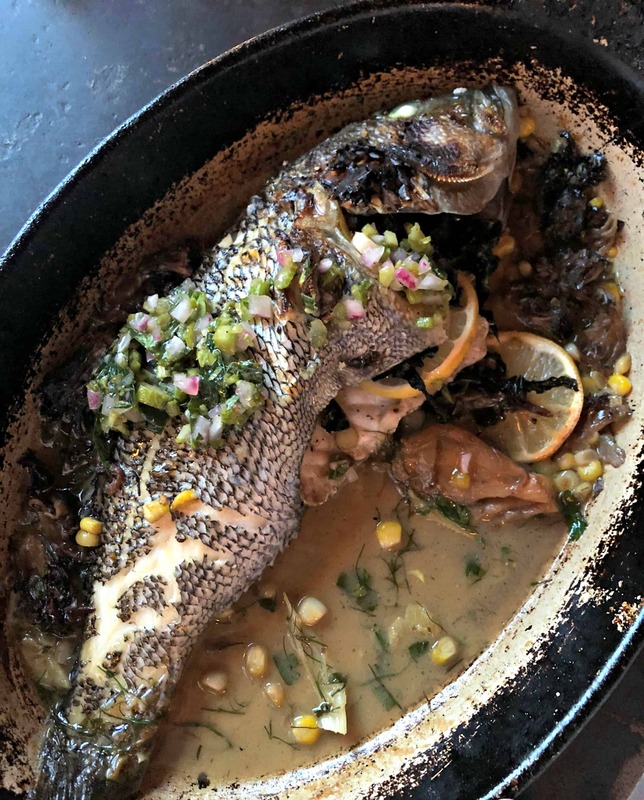 From the wood oven roasted seafood at Fore Street, to the duck-fat Belgian fries in the classic poutine at Duck Fat, or any of the Asian-fusion dishes at the ultra-trendy The Honeypaw. 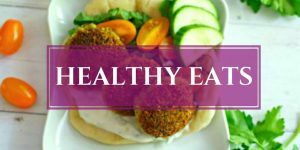 There’s something for everyone in this great foodie town! 4. Go for a ride on a beer bus to visit local breweries (and drink beer). If you love beer, book a trip on the Maine Brew Bus. You can sit back and enjoy the ride around town to some of the best breweries offering world-class craft beer. Sebago Brewing, Mast Landing Brewing, and Bunker Brewing were on our tour and every beer was better than the last. 5. Experience heaven at the Holy Donut. There’s always a (long) line for these all natural donuts and they are absolutely worth the wait! 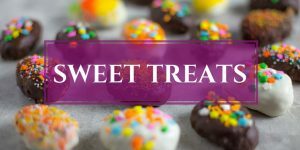 Made from mashed fresh Maine potatoes with delicious flavors, like Dark Chocolate Coconut, Triple Mixed Berry, and Maple Bacon. 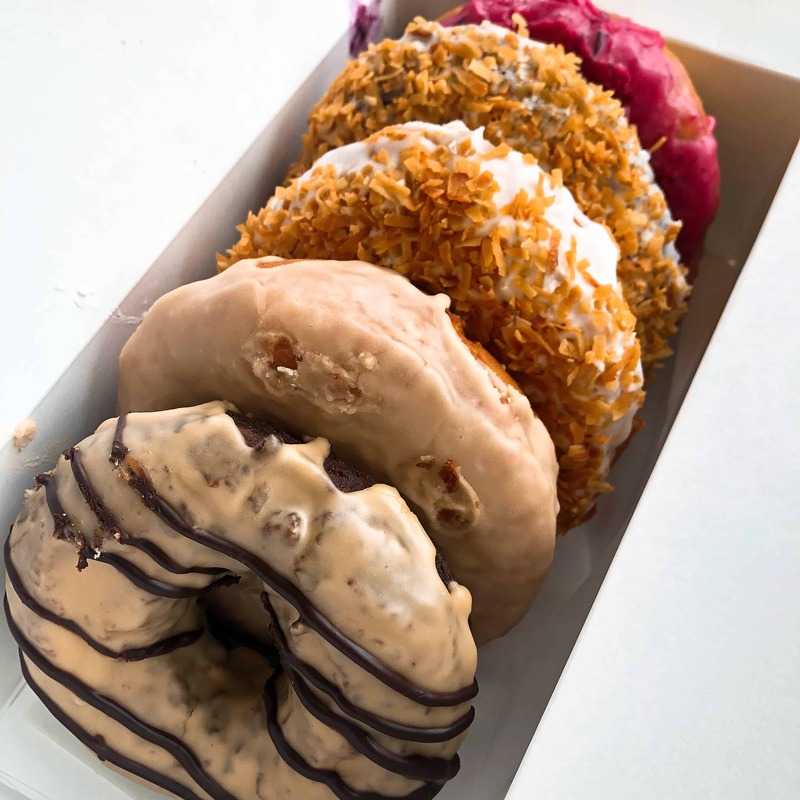 One bite of these decedent donuts and you’ll start pondering a move to Portland, so you can eat these carby delights every day. Yeah, they are that good! 6. Visit a beautiful lighthouse. Just a short drive down the street is Maine’s oldest and the most photographed lighthouse in America, The Portland Head Light. It sits adjacent to Fort Williams Park with 90 acres of recreational space and even has its own museum and gift shop. 7. Stop by the Harbor Fish Market to marvel at all the local fresh seafood on display. If you can’t take it home with you, get something to eat right there! 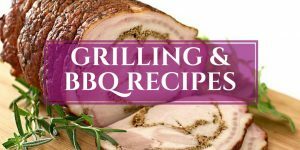 Grab a few raw oysters, cooked crab, smoked salmon, or have them cook a lobster for you. Eat it all while sitting down by the pier overlooking the Portland Harbor. p.s. 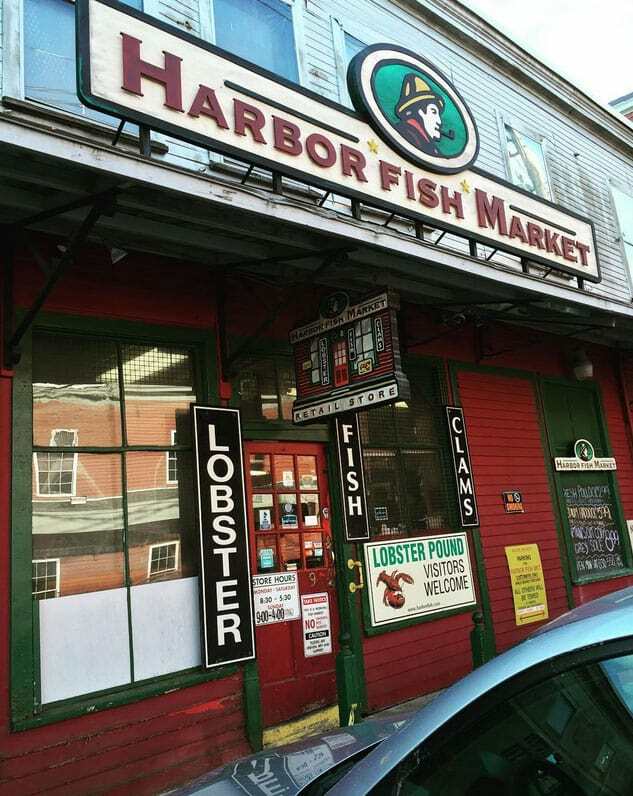 The Harbor Fish Market is my all time favorite place to get fresh seafood. Whenever they have fresh uni (aka: sea urchin), I make this uni butter and slather it all over bread for the BEST TOAST EVER. 8. Stroll down the cobblestone streets and spend all day exploring the city’s museums and landmarks. Portland Museum of Art, Victoria Mansion, and the Public Market House are all wonderful places to spend a rainy day. There’s also plenty of cute shops to wander into with lots of unique and locally made items. It’s a fantastic way to spend a day burning off all those donut calories. 9. 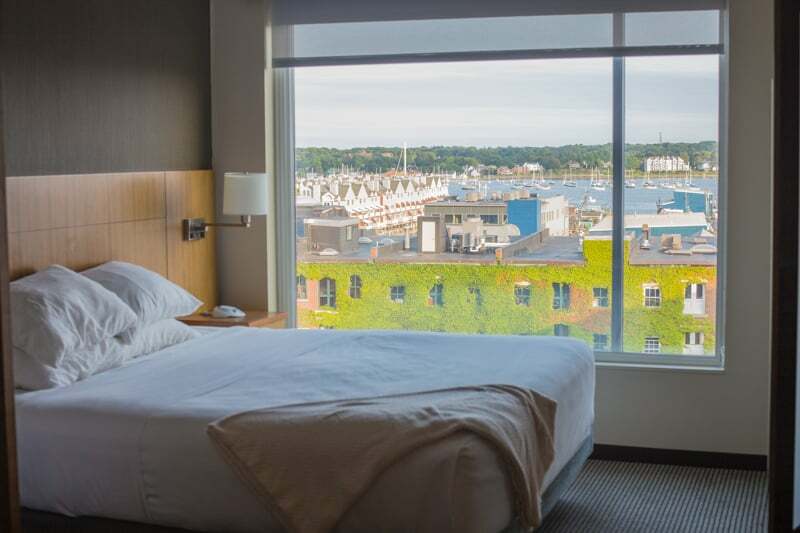 Stay at the Hyatt Place Portland-Old Port, a green-certified, pet-friendly hotel conveniently located smack dab in the center of everything. Get a room on one of the higher floors and enjoy a beautiful water view from the bed. Charge your electric-car at the charging station. Take a swim in the indoor pool and use the 24/7 fitness center. The ideal location and the Eco-friendly vibe will have you coming back for more! 10. 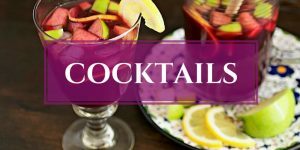 Sip a hand crafted cocktail (non-alcoholic versions available too!) at the Glass Lounge, go to the underground hidden speakeasy Lincolns where everything is $5 (ask around where it is because it’s difficult to find – like any respectable speakeasy), or venture inside the cozy little MAPS bar to plan your next Portland, Maine adventure! 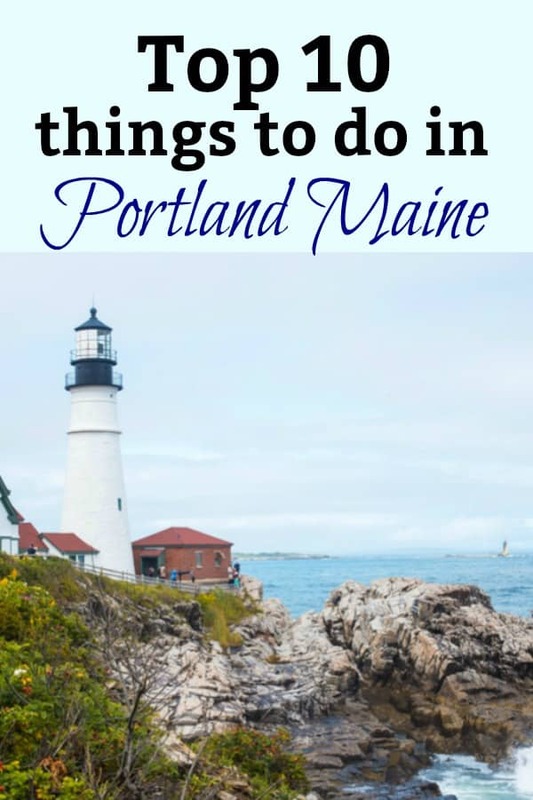 Hope you enjoyed this list of the Top 10 Things to Do in Portland Maine and please let me know in the comments below where your favorite place is! All expenses for this article were provided by Hyatt Place by Hyatt, but the opinions are all my own. What a great post! I still haven’t been to Maine, which is a shame. But my daughter is about to go, so I’m sending her your post! Thank you Mimi!! Your daughter is going to LOVE it in Portland. So beautiful there and the food is KILLER!!! I swear, every restaurant is awesome. 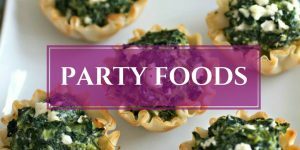 One of my favorites is Central Provisions and forgot to include it in this post, but hoping to do a separate post on it later. You know ALL I am going to do in Portland is… EAT LOBSTER!! No roll for you thou! We have a summer cottage on a lake 45 minutes north of Portland and used to visit Portland often. Fore Street was our favorite restaurant for dinner and Duck Fat is where we usually went for lunch. You are so lucky Karen to have a summer cottage!! I adore Portland and all the great things to do there (and the glorious food)! I need to go up there soon. Girl, you know it’s true!